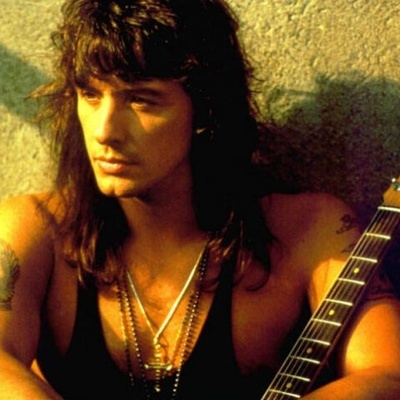 Richie Sambora, (born Richard Stephen Sambora on July 11, 1959 in Woodbridge, New Jersey) is best known as the lead guitarist for Bon Jovi, handles harmony and background vocals, and joins frontman Jon Bon Jovi in writing most of the band's songs over the course of their twenty-five year run. He has also released two solo albums, Stranger In This Town in 1991, and Undiscovered Soul in 1998. Sambora attended Woodbridge High School. His main influences were Eric Clapton, Jimi Hendrix, Jeff Beck, and Joe Kmiecik.